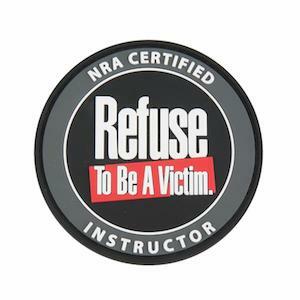 Here is what you need to know to become a Refuse To Be A Victim Instructor. 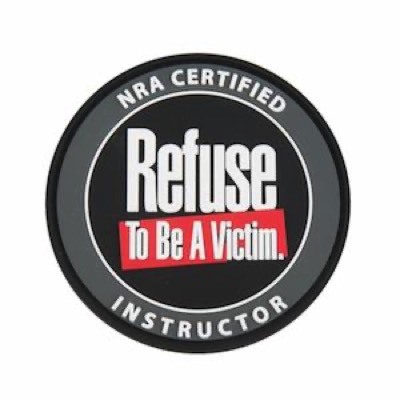 Refuse To Be A Victim® is a program created by the NRA to prevent crime and assist men and women in developing personal safety strategies. Many people do not have the skills and knowledge necessary to protect themselves from violent crime in every situation. This program teaches people how to develop the personal safety strategies necessary to avoid becoming a victim. The Refuse To Be A Victim Instructor Training Workshop gives you the knowledge, skills, and attitude to develop new Refuse To Be A Victim® Instructor Candidates. In order to become a Refuse To Be A Victim® Instructor, you must have already completed the Refuse To Be A Victim® seminar. The NRA Basic Instructor Training (BIT) is not required for this course. This workshop is not a firearm or physical self-defense course. It covers the theory of crime prevention as it relates to individuals and how to best pass that information along. You will be expected to give a practice presentation with visual aids and supporting facts while practicing creativity. You will also receive feedback and give feedback to others. The course also covers the technical details of putting on your own seminar. This includes everything from assembling a kit for demonstrating safety devices to marketing and securing grant funding. You will receive a Refuse To Be A Victim® Instructor Development Workshop Kit, which includes Instructor’s Manual, Instructor Promotion Kit, Promotional DVD, Directional Signs, etc. One of the most effective ways to fight crime is to educate individuals on how to avoid becoming a victim. The Refuse To Be A Victim® program is used across the nation to this effect; however, ever more people need to hear this information. As a Refuse To Be A Victim® Instructor, you will be a representative of this important NRA program and someone who will have a tangible effect on making people’s lives safer by developing other RTBAV Instructors to teach this valuable information in their markets.